Ever wanted to design your own office space? Probably. Want an office in Dundee that you could make your own? Of course you do. A place that reflects your business and personality and that excites you every day you come to work seems like an impossibility. But not here. At the Flour Mill Dundee we want you to be excited and inspired by the workspace that surrounds you. That’s why we have created a canvas that gives you control over how you design your space. All of our internal fit out has been designed around a fixed core of services, with office partitioning that can be either altered removed. This involves cleverly designing the installation of services, allowing them to be brought up through walls, or in services boxes in the floor and placing heating and kitchens in the right locations. We already have clients planning and designing their spaces prior to move in. Some have taken multiple offices and they have either left walls out or moved them to help create the space they want. This flexibility of space is at the core of our design ethos. We are still renovating certain floors, therefore early viewers have the maximum opportunity to input their own ideas on the offices they want and how they’ll look. Things are moving on quickly though, so if you want maximum flexibility you’ll need to get in touch fast! Whether you’re a tech start up looking for a modern edgy look, or a designer looking to be continually inspired. Almost all our spaces can reflect you. As a result, you get the most out of your space and the most out of your work. How Does Designing My Space Benefit Me? How Exactly Can I Design the Space? You can decorate the walls, whether that be with a tin of paint, a mural, wallpaper, a spray paint design… whatever suits you, we can do it. From your standard office furniture to groovy suede spinning pink chairs. Whatever brings in your personality and makes you feel more comfortable in your space, bring it along. If your space allows, you can create a break out area to hold a meeting, a tech free corner or even a meditation space. We may be able to accommodate additional stud walls, lighting and sectional spaces. Often clients want a separate office within their space. We can create all sorts of interesting features within their spaces including; kitchens, workshops, treatment spaces, break out space, play space, sepereate entrances, receptions and bespoke furniture. Need extra sockets to accommodate your technology? Can’t move in without that 6 foot lava lamp? We will be able to accommodate you where we can to make your space as easy and comfortable as possible. 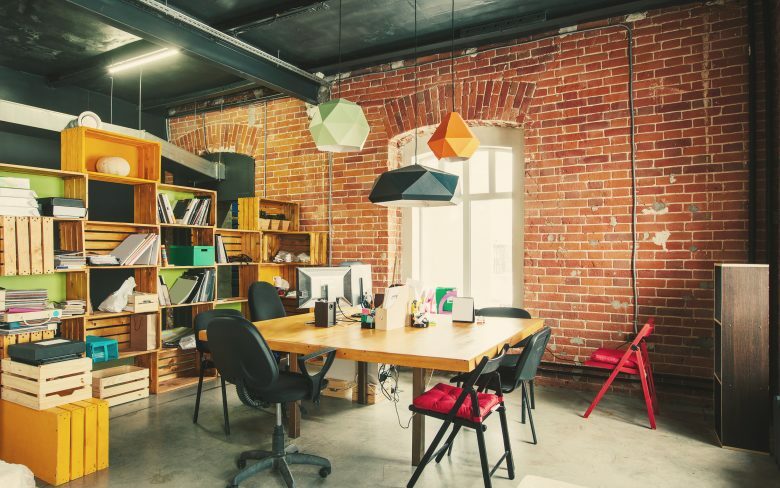 Creative spaces have a number of benefits you just can’t ignore. Your space should enhance you and your business. We want your journey to be as easy as possible and the more flexibility you have over how it looks, the better for you and your business.